Sometimes, we think we’re out, and then they pull us back in. 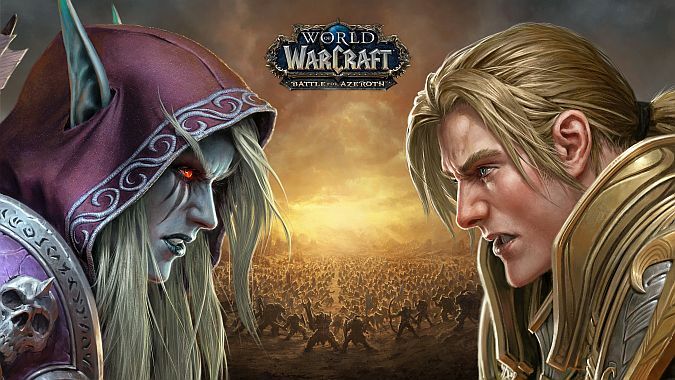 The folks at Blizzard heard that you might be planning to go outside the weekend of March 21, so in order to prevent that, they’re running a special promotion letting those of us with inactive World of Warcraft accounts get back into the game. From March 21 – 24, you can log on to those old characters you haven’t seen for a while and otherwise play around in Azeroth without having to pay for the privilege. For four days, anyway. If you’re curious what this actually entails, it’s simplicity itself — you don’t have to do anything but have World of Warcraft on your PC and log into the game. You don’t have to sign up for anything, and you don’t have to pay for the game or sign up for a subscription to get a four day trial period. If you don’t already have the Battle.net desktop launcher, you’ll just have to download that, which is also free. Then as soon as WoW is up to date on your PC or Mac, you can log on to that level 88 Paladin you haven’t played in a while and marvel at the things you left in her bags, or thrill to the people in your guild amazed to see you again. All kidding aside, I do think giving folks a few days free is a good move — some folks have unsubbed for various reasons, and even if they’re not likely to resub, it’s a decent gesture to let them have a little time with characters they may well have played for years. And it’s always fun to see old friends again and catch up with what they’ve been doing in that world that isn’t Azeroth. But remember, this is only for four days — once March 24 ends, so does your free time. So if you want to take advantage, make sure to log on between Thursday, March 21 and Sunday, March 24 to take advantage of this and finally clean out that bank alt’s bags. Seriously, you left her like that? That’s not cool. She’s been sitting in Ironforge with all that junk for how long?